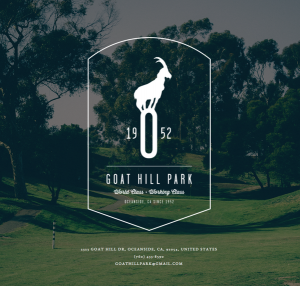 Did you know that Goat Hill Park in Oceanside, CA (originally named Center City Golf Course) was the very first golf course in all of San Diego County? Truth! 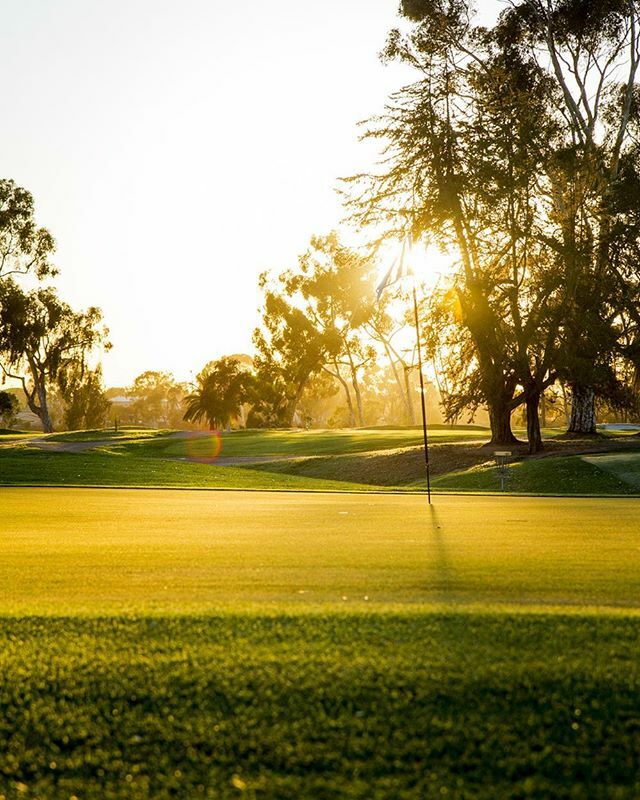 A lot has changed since it’s opening in 1952 and with its recent renovation lead by locals David Emerick, Geoff Cunningham, and John Ashworth (yes, that Ashworth of apparel favorite Linksoul) this challenging 18-hole short course should be a must stop on your golf tour of our sunny SOCAL region. 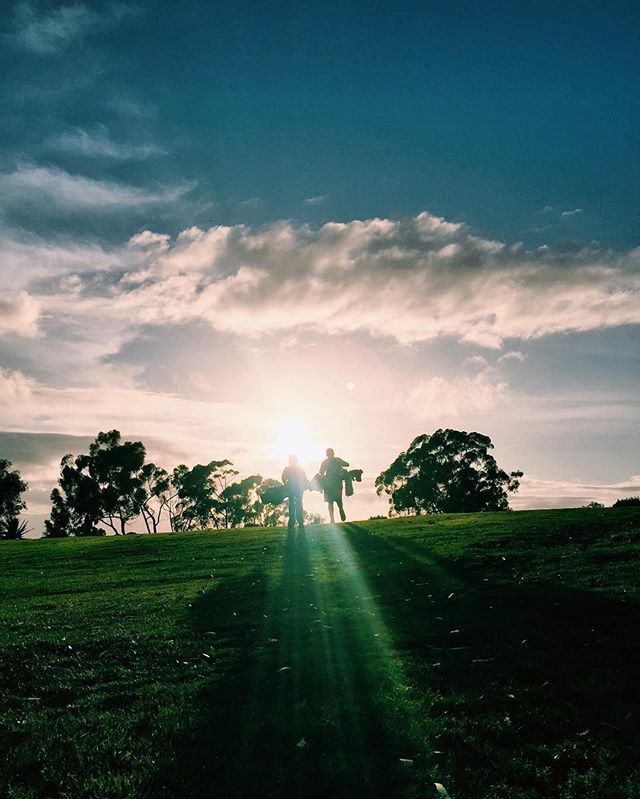 Goat Hill Park embodies the soul of golf. Where golf is meant to be fun. Where golf is meant for community. Where golf is “cool” again. Only a short time ago Goat Hill Park was struggling. So much so that there were talks of being forced to shut the pro shop doors for good. Big name prospectors and city officials were even going as far as eyeing the land as a possible spot for a future Charger stadium due to the prime location along the freeway and near other roadway inlets. 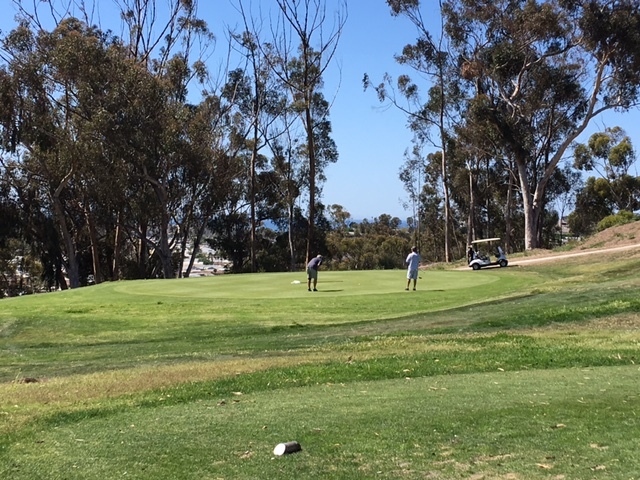 Luckily, a movement emerged to “save the people’s park of Oceanside” and with national headlines being made thanks to a community of passionate supporters the golf course has remained as the longest standing golf course in all of San Diego County. 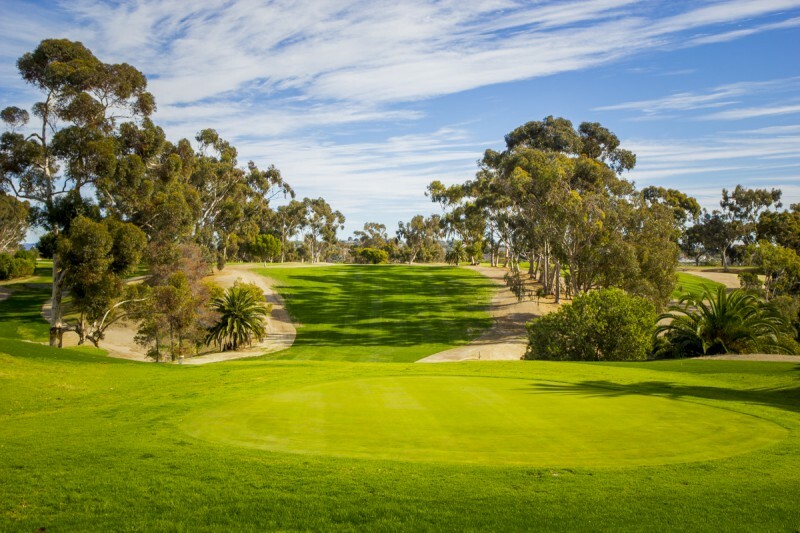 Nestled along the 5 freeway in the North County San Diego suburb of Oceanside Goat Hill Park not only offers ocean views but an up and down golfing adventure sure to challenge your target golf skills. If you asked well known Golf Channel Morning Drive resident travel expert Matt Ginella, he’d tell you that this local favorite is his #2 in his list of the top 10 short courses in America. 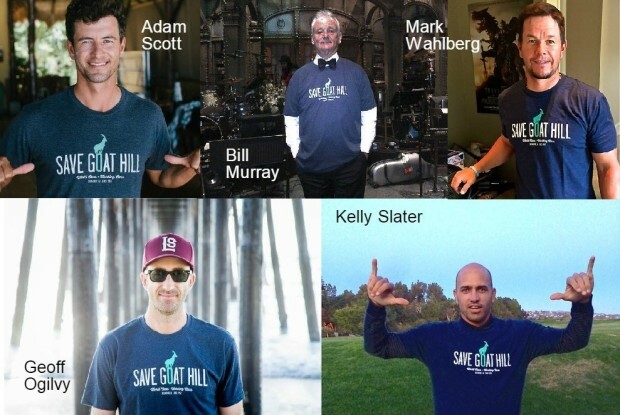 …and it’s not just Matt that is behind the Goat Hill Park movement. Big names like Mark Wahlberg, Kelly Slater, Adam Scott, Geoff Ogilvy, and Bill Murray frequent the course. If you’ve played the course prior to early 2016, here’s what you can expect from the renovations: New management, new golf carts, improved greens, new fairway grass, improved tee boxes, and a new brand. You may even notice that the park welcomes disc golfers with strategically placed target baskets. Don’t worry, they don’t impede on your golf… unless you hit an absolute errant shot. Then again, they could help you. Renovations completed, the course re-opened February 2016. Not having ever played Goat Hill Park before (I’m not a SOCAL native) I had recently heard of this little gem thanks to all of the revitalization efforts and in chats with golfers who’ve grown up in the area. I have friends who have literally been playing the affectionately nicknamed “the Goat” their entire golfing lives. This is where they were first introduced to golf. Upon arrival you are met with the driving range and pro shop as well as some beautiful wild flowers… oh and an ocean view. Yes, due to the course being perched on the top of a hill you have an excellent view of the Pacific Ocean. I played on a mid-morning Sunday but can only imagine the sunsets and lighting a twilight tee time would offer. With this whole movement to Grow the Game and encourage all walks of life to play golf it was refreshing to be somewhere that truly embodied this spirit. You’ll definitely see your traditionalists dressed in classic golf attire but you’ll also see an alternative crowd, golfers with a SOCAL beach vibe, and kids excited to be out playing and crafting their skills. Leave your judgements at home because this is not your mama’s country club. Goat Hill Park is where golf is just golf and everyone is super friendly. The course is very up and down because the main entrance is at the top of the hill but it’s definitely walkable. I played in an electric cart which was a good idea for a first timer. Next round I’ll be walking for sure. Post-round it was fun to sit out back on the patio with the big screen and watch the latest tournament. I didn’t go in and ask if they had food but I did see a grill on the back patio. In short, I loved the laid back SOCAL vibe of the Goat. This is a true community golf course and it’s great that this oldie has some fresh ocean air back in her and will remain a go-to for many in the area. Looking for some pointers from a PGA pro but don’t want to necessary shell out a few hundred bucks? Every Wednesday at 12:15 p.m. owner and PGA pro David Emerick gives a free group lesson. Yes, you read that right. FREE! The course also has some fun social and competitive tournaments held weekly, monthly, and annually. Bring a camera. The course was practically made to take over your Instagram feed. Trust us on this one. If you’re new to the course, be sure to read the map on the back of the scorecard. There is definitely a locals knowledge advantage here but the map will guide you. Gather up your golf buddies and make your tee time either by phone at (760) 433-8590 or online HERE. Don’t forget their local resident and military discounts and they do take 9-hole and 18-hole greens fees. Expect to pay $12-$32 for greens fees and another $4-$14 for a pull cart or electric cart. Not a SOCAL Golfer yet? Summer membership special – save 25% with promo code SUMMER45 or try our new FREE membership option! Handicap Question – Can a Handicap Index Be Adjusted for a Temporary Injury or Disability? The Palm Springs Golf Championships are our newest golf tournaments consisting of a Gross Players Division and multiple Net Players Divisons: YoungGunz, Senior Men, and Womens Flights. The Gross Players Division is a straight-up gross competition that will be played at the West Coast’s home of golf, PGA WEST. You’ll play the same courses the professionals play, just a week before the annual CareerBuilder Challenge. Players in the Net Players Divisions will enjoy world-class golf at La Quinta Resort & Club. These tournaments are a great way to kick those winter golf blues away in the short-sleeve weather of Palm Springs. Join us in the desert Southwest this upcoming January. Practice Round – Call the PGA WEST or LA QUINTA Pro Shops; use the “CHAMPIONSHIPS” promotion code to book your tee times and get the early am or late am prearranged practice round rates. Registration 4:00 to 7:00 pm at the Beer Hunter – Enjoy the hosted Happy Hour. Hang out and get to know your tournament hosts and sponsors. Experience the Beer Hunter’s golf memorabilia and 25 big screen TVs. Goody Bag – Retail value $200 – Pick up your goody bag which includes a $25.00 certificate good at the PGA WEST and La Quinta Pro Shops and three $25.00 dinner coupons for The Cliff House, The Nest and The Beer Hunter. Gross division players will also receive an embroidered Titlest Sunday carry bag. Net players will receive an embroidered hat and towel, a logoed 25oz Growler beverage bottle, a dozen Titlest Pro V-1s, and a ball marker and switch blade divot tool kit. Registration 12:00 to 7:00 pm at the Beer Hunter – Enjoy the hosted Happy Hour. Hang out and get to know your tournament hosts and sponsors. Experience the Beer Hunter’s golf memorabilia and 25 big screen TVs. $25.00 entry fee – 100% pay out. Come hang out at the 1,900 sq ft luxurious Hacienda Suite. Meet your tournament hosts and other golfers from around the country and enjoy the hosted beer, wine, sodas and snacks.